Recommended level of 65. Required level of 58. 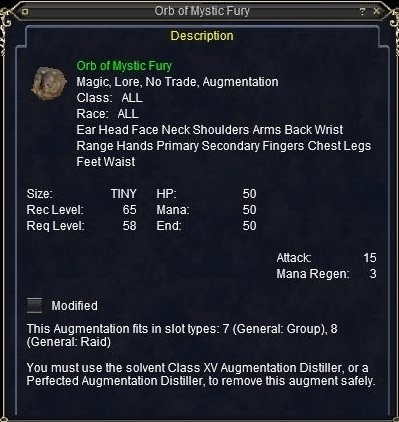 You must use the solvent Class XV Augmentation Distiller or greater to remove this augment safely. Recommended level 65. Required level 58. However you must be level 65 to start the quest. if you de-level 7 levels trying to get it you can still use it.